The venue list is being formulated and will be posted on the website soon. 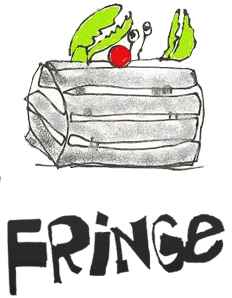 The crew aboard the Fringe Festival committee are busy matching the wide variety of acts to the perfect venue. Puppets here and dancers there, a band over here and African drummers, oh yes they will go well over here but where do we put a storyteller? The heart of Portsmouth opens and turns up the beat to many performers over the three day Festival. Be sure to check out the website and come back for frequent updates as venues and performers are matched. If you are in the area stop on by the Festival Office at 39 Ceres St. Portsmouth, that is right near the famous Tugboats. I’ll be around town on Friday catch me as I visit some of the other venues and promote the Festival and the Saturday 1 p.m. Historical Storytelling. If you don’t see me I may just be walking a New Hampshire beach or savoring some tasty New Hampshire lobster at my favorite restaurant Ray’s Seafood in Rye.